Roni Evans, PhD, DC, is an associate professor in the Integrative Health and Wellbeing Research Program at the Center for Spirituality and Healing. Evans has a background in clinical research and qualitative research. Over the course of her career she has conducted numerous, randomized clinical trials assessing the effectiveness of self-management practices (including exercise) and manual therapies (including chiropractic care) for headaches, neck and back pain. Evans has explored patients’ views and experiences with different pain treatments, including complementary and alternative medicine. Evans has also developed educational programs focused on training complementary and alternative healthcare practitioners in evidence based medicine. 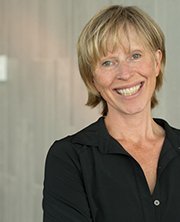 Her current research focuses on optimizing self-management and integrative healthcare practices to facilitate wellbeing. Ruby H.N. Nguyen, PhD, is an associate professor of Epidemiology & Community Health in the School of Public Health. 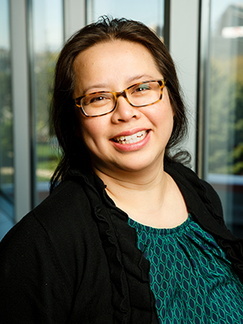 Nguyen's research expertise focuses on women’s health. Nguyen studies the etiology and natural history of chronic pain in women and its uniquely gendered aspects, including social stigma and pregnancy. Her teaching expertise is in undergraduate public health education and she leads the School of Public Health’s undergraduate public health minor.